I’m coming to you all live from Smoke Monster III at the Snowbird Ski & Summer Resort. Smoke Monster has became one of the starting points of the FSL All Star Weekend Festivities. While we won’t hear teams announced until tomorrow, Shecky’s got some inside info and feels comfortable with the line he’s offering. 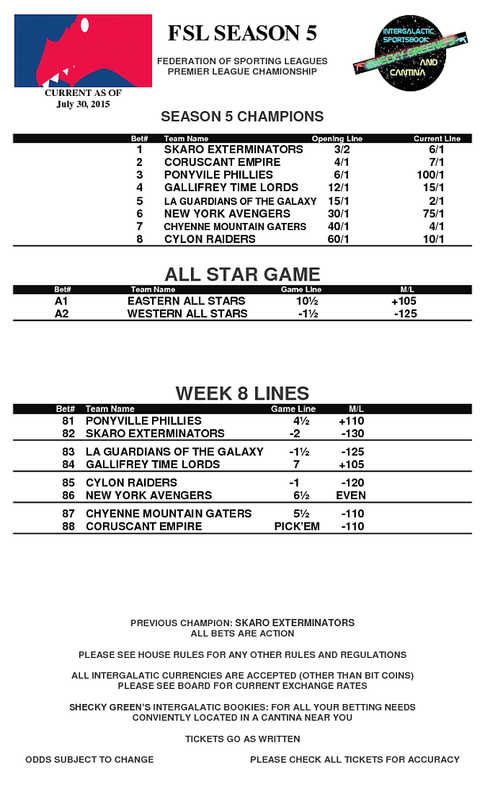 Here’s your All Star Game and Week 8 Lines. Hot off the presses we have the Week 7 Lines for you. Hot off the presses we have the lines for week 6. As always, Bet Early & Bet Often! Hot off the presses we have the week 5 lines. Also new this year we are opening a Relegation Line, so if there’s a team you don’t think will make it until next year now you can put some money on it. 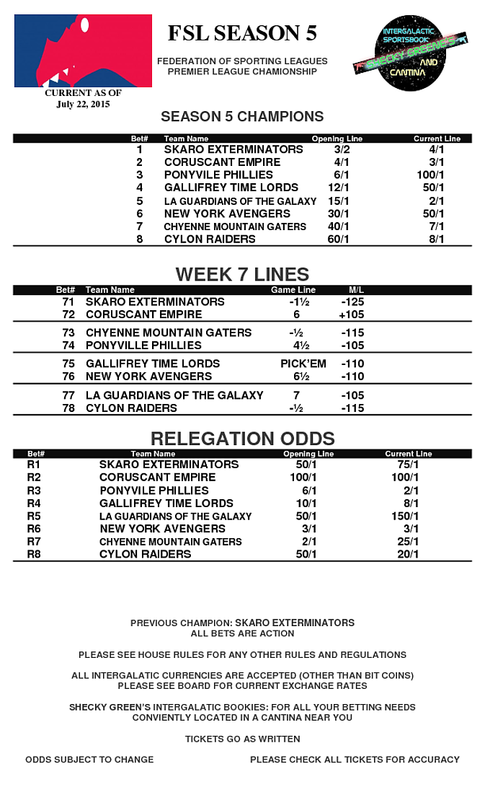 Hot off the presses we have the Week 4 Lines. Good luck and as always…Bet early and bet often!! !